The Dell XPS 13 Ultrabook is now available in the United States through Dell.com at [email protected] Store locations, Best Buy website online (not available in Best Buy stores just yet) at a starting price of $999 with an Intel Core i5 processor, 128GB SSD hard drive and 4GB memory. The XPS 13 will also be available in select geographies around the world in March 2012; and available in most Best Buys stores nationwide later as well. As you’ll recall during CES, Dell revealed the compact Dell XPS 13 Ultrabook on stage with Intel. Dell has seen ‘strong demand’ for the system ever since it was first announced at the Consumer Electronics Show, and early buzz about the unit – which features uncompromising performance, extended battery life and Intel’s Rapid Start and Smart Connect Technology – has been overwhelmingly positive. I’ve been quite fortunate to have some hands-on time with the XPS 13 and found some key design and performance features that really stood out for me. Long Battery Life – no more dragging around that power cord, just take your XPS 13 and work or play all day with 8+ hours of battery life. Glass multi-gesture trackpad – this was my first Windows system with a multi-gesture trackpad – great for productivity. Cool and Quiet – remained cool and quiet throughout many hours of steady use. For a laptop that weighs less than 3 pounds, the XPS 13 feels really solid. I can’t get over the nice build quality. This is the nicest looking and feeling laptop from Dell in years (my personal opinion of course). Another thing I liked right away was the soft, rubberized coating on the base and palmrest areas, which feels great (no cold metal feeling) and also is useful as it assists with your grip so you can grab it and go places quickly. It’s these neat details that really set the XPS 13 apart from the rest of the Ultrabook pack. 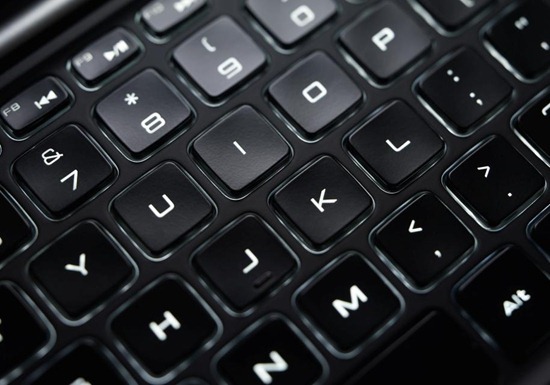 The quiet, comfy, back-lit keyboard on the Dell XPS 13 Ultrabook is one of my favorite design elements. The Chiclet keys are slightly cupped to gently cradle each finger. It’s terrific to type on! For the sound system, I cranked up the sound on a HD movie and out came fantastic music from the XPS 13 sound system which has Waves MaxxAudio (music pros will appreciate that). Of course, I had to decrease the volume right away —not something I’m used to doing with other laptops with a small footprint. Dell’s XPS 13 offers a choice of Intel’s second-generation Sandy Bridge processors (choose i5 or i7). I’ve tried both and they are fast performers. The XPS 13 performs really well, for example, streaming HD content via Netflix or Hulu smoothly, even if other tasks are running in the background. 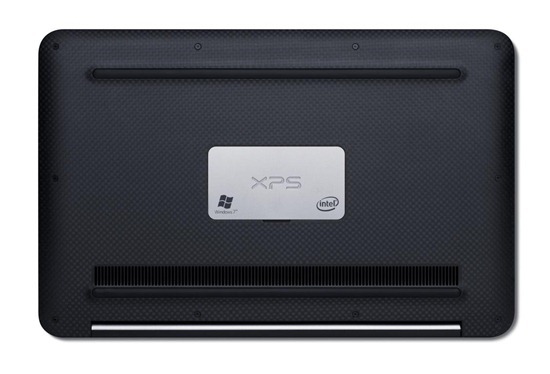 All XPS 13 configurations come with 4GB RAM and Intel HD 3000 graphics. The wireless connects in seconds with easy push-button connect (Intel Centrino Advanced-N 6230 802.11 A/G/N) and has Bluetooth 3.0; plus dual-array digital microphones. The display is 13.3-inch HD WLED, 300-nit (1366×768) 720p; edge-to-edge hardened Gorilla Glass. The dimensions on the XPS 13 laptop are 0.24-0.71-inch/6-18mm and starting weight is 2.99 lbs. There’s a 47WHr 6-cell battery that last over 8+ hours. The operating system is Microsoft Windows 7 Home Premium, 64-bit version. Skype and the webcam are ready to go, too. (1) Power jack with compact AC power adapter plug included. – There’s also a neat battery life gauge indicator with five tiny lights – simply press the button, then the lights will glow in sequence to show how much juice is left without the need to turn on the system. 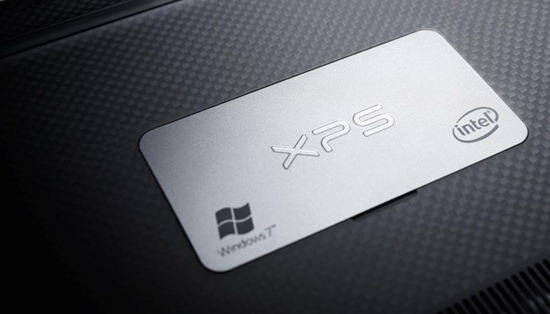 In addition to customer service options such as concierge and software support, business customers who purchase the XPS 13 can opt for business-class options like ProSupport, configuration services, asset tagging and BitLocker data encryption with the Windows 7 Trusted Platform Module. There’s also a nifty docking station you can order separately, which is compact, too. The XPS 13 is a real pleasure to use. I was impressed that I could get so much fast performance, beauty and battery life out of such a compact and portable laptop. Dell really innovated on the design where you see a 13.3-inch screen fitted to chassis similar to an 11-inch product. I do not know of any other Ultrabook with this offering. So that means you can do more with less bulk and weight, which makes it super easy to tuck into your bag or purse and go to the office, coffee shop, beach or anywhere you want to go! See the Dell XPS 13 Ultrabook product details page for more information, tech specs, configuration options, great accessories and pricing details. Watch the video below where Dell’s Brian Pitstick and Ed Boyd discuss the key innovation elements and design features that truly make the Dell XPS 13 such a compelling system. We welcome your questions and comments in the comments section below or via @Dell on Twitter where you are welcome to join the discussion via the #xps13 hashtag. 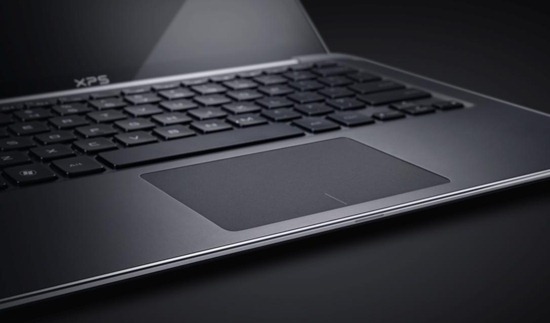 See Related Posts about the Dell XPS 13 Ultrabook . . . I am Korean. And when I can buy xps13 in Korea?? #xps13 sounds great, having used Latitude13 for last 2 years. One question: when using external monitor, what display resolutions will XPS13 support? Why didn't it come with a 1080p screen like the 12 did?